Home Archive by category "Shops"
Vegan ACT are absolutely delighted to announce that The Cruelty Free Shop will be offering a discount to all our card-carrying members (card must be presented in store)! Yet another reason to pay this vegan paradise in on Mort St. Braddon a visit! Let’s Be Natural: I just want to let you all know about our new store in Southlands Mawson. We have heaps of great vegan foods and vegan skincare and makeup. We try to focus on things that are healthy, sustainable, fair trade and as local as possible. We also have a great bulk foods section where you can bring your own container and cut out the packaging, with 10% off the second Saturday of each month if you do. We are delighted to announce that Naked Foods Braddon will be trialling a 10% discount to card-carrying members of Vegan ACT, to be reviewed in July. It’s a beautiful store and the low packaging ethos is fantastic, go check ’em out! You can also read a Canberra Times article here. BUT, the thriving vegan cooking, veganism and animal ethics section will remain! And I will still be maintaining stock for the foreseeable future. So please let me know if there is anything missing, anything you want to get in or if you have any feedback, etc. Thanks everybody for supporting this little initiative, I’ve been lucky to witness hundreds of people enjoying the books, discovering ideas and recipes and even encouraged many, many people with ethical choices towards animals and a vegan diet. May these shelves continue to bring a little more kindness into the world! Vegan ACT is pleased to announce that like Go Vita Jamison, Go Vita Woden now offers 10% off when you flash your precious Vegan ACT membership card! Click here to become a Vegan ACT member today! Go Vita Woden is your one stop health food store offering a holistic approach to your overall health needs. Go Vita Woden is owner operated and has been servicing the Canberra community for over 17 years. Our qualified staff and in-store naturopaths will offer you quality service and assist with your health needs. 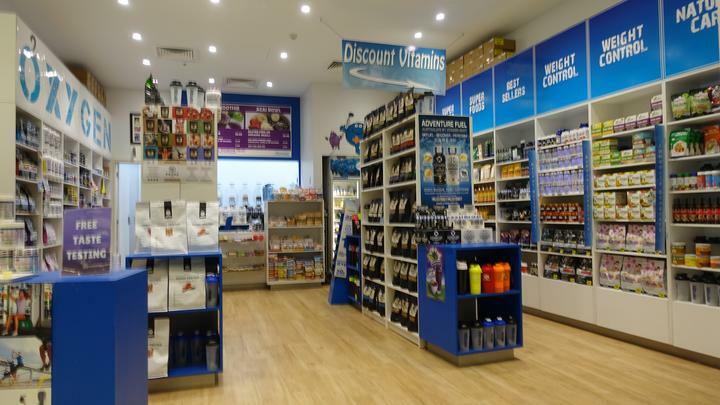 At Go Vita Woden you will find a wide range of Vegan vitamins/supplements, organic foods, wholefoods, natural cosmetics, gluten free products, protein powders, nuts and dried fruit and much more! The Greenway Organic downstairs in the Tuggeranong Hyperdome has many new vegan products including Gardein, Vegusto and Bio Cheese, Tofurky sausages, Primal Strips (vegan jerky), Vego Chocolate Bars, Funky pies, frozen pizza and ravioli to name a few. They are open to new suggestions and seem committed to getting new products in from all over the world. They pack lots into a very small space with a wide range of Vegan items such as sauces, tofu, mock-meats, noodles, sauces, and fresh Asian greens. Freezer section has mock-meats as well as banana or taro in sticky rice wrapped in banana leaves. As Nature Intended Shop offers a huge range of vitamins, organic fruit and veg, fudge, products by Gardein, Cheezley, Orgran, Linda McCartney and Tofutti. 10% discount off store items for card-holding members of Vegan ACT. Click here for info on their Cafe. 5% discount, or 10% on purchases over $100 (not avail on fridge or frozen products) for card-holding members of Vegan ACT. 10% discount off rrp for card-holding members of Vegan ACT (not valid for fridge or freezer items).